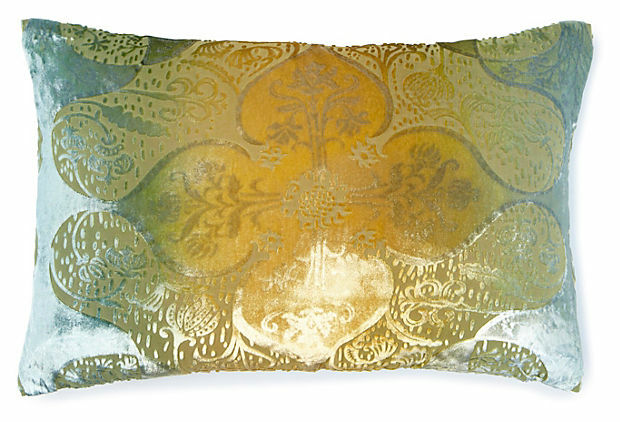 These beautifully exotic cushion covers by Okholm will add character to any setting. 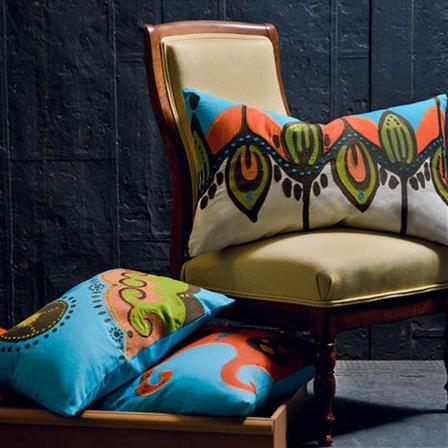 Embellished with embroidered applique, and inspired by traditional Coptic designs, these hand printed cushion covers are perfect for bringing a splash of colour to your interior. Fill with luxurious feather padding (available to purchase separately) for a sumptuously plump finish. Washing instructions: Machine washable at 30°C. 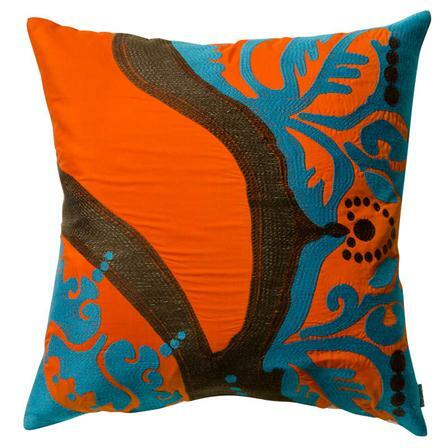 These beautifully exotic cushion covers by Okholm will add character to any setting. Embellished with embroidered applique, and inspired by traditional Coptic designs, these hand printed cushion covers are perfect for bringing a splash of colour to your interior. 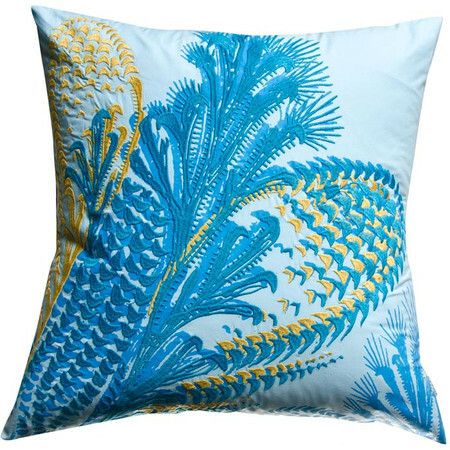 A majestic row of ferns, silhouetted against a sunset ground adorn this sumptuous pillow, creating a lush, serene room accent. 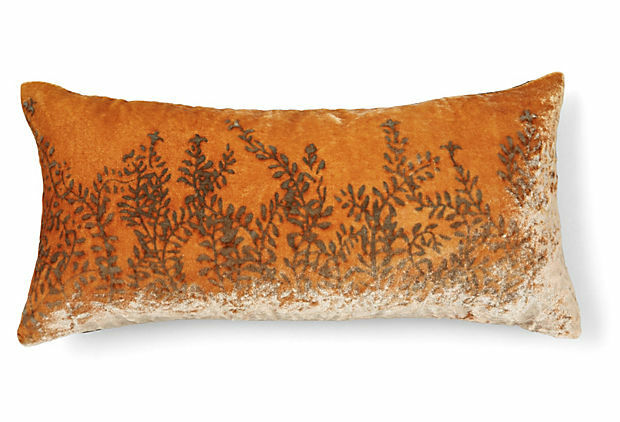 Add a splash of color and style to your sofa, chaise, or bed with this eye-catching pillow, the perfect companion to a glass of merlot and your latest book club read. 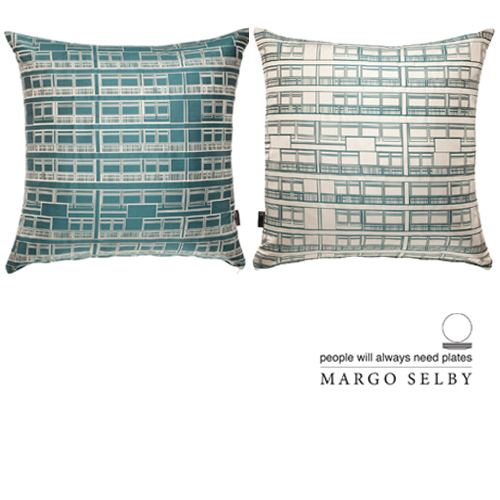 Trellick Tower – The first collaborative project by People Will Always Need Plates and Margo Selby is a range of textiles and products fusing Margos innovative and structural approach to weaving with People Will Always Need Plates architectural inspiration. Turquoise Trellick Tower fabric is double sided. 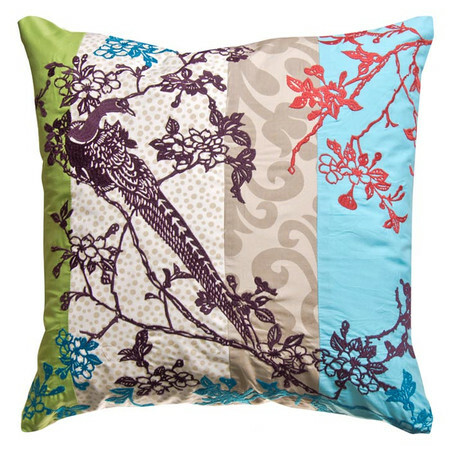 The cushion has 2 different coloured sides, turquoise on one side, white on the other. 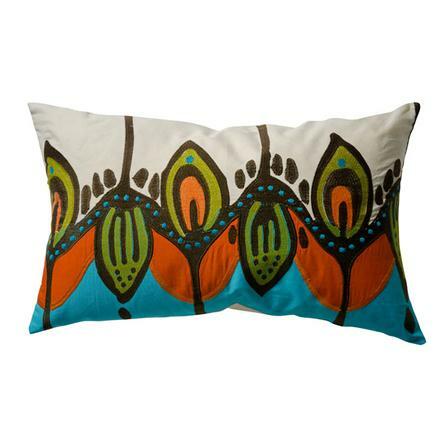 This is one cushion with a Dominant Turquoise on one side, and a more White side on the rear, enabling you to alter it depending on yoru home colours. A very vivid colour, geometric pattern and innovative textures create a stunning spectrum of fabrics for the Kaleidoscope Collection. The cushions are made from luxurious silk blend and lycra fibres woven in a double cloth structure to create a 3-dimensional quality. Each cushion is double sided with the fabric. 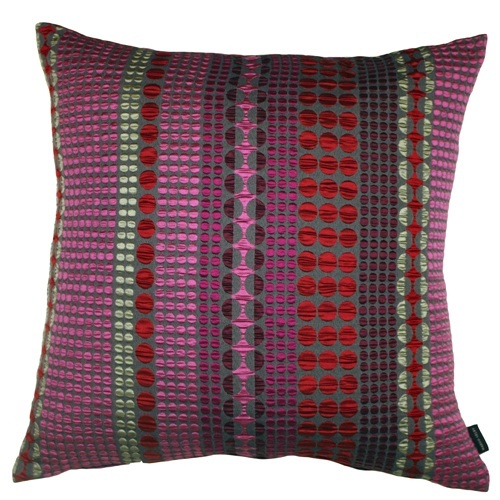 Rubina is a mixture of grey, pinks, purple and red. 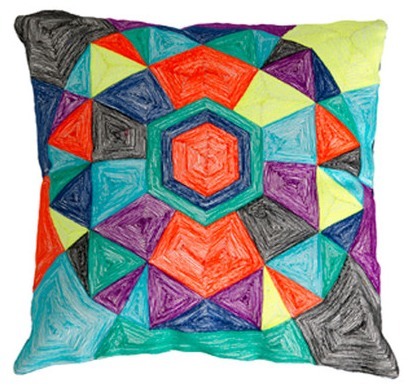 Create a vibrant focal point with this eye-catching design, perfect for your living room, library, or den. 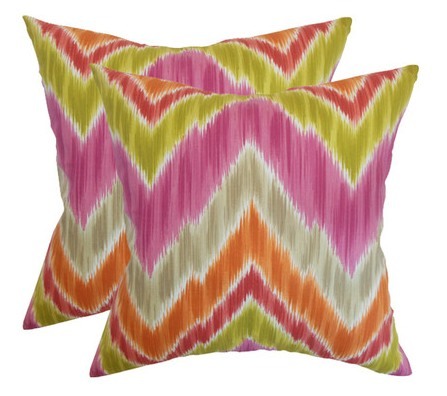 Create a bright focal point with this distinctive design, perfect for your lounge, library, or guest room. 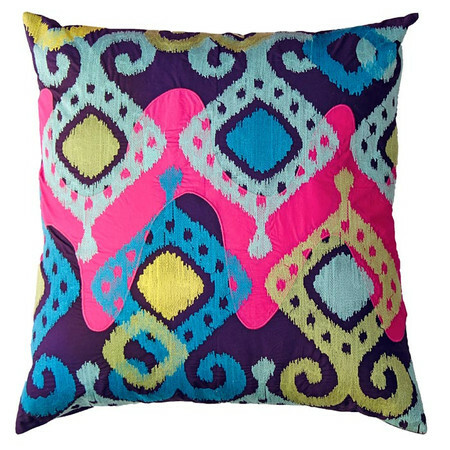 Made of cotton, it features Embroidery, a Geometric print, with inserts. It measures 18″ x 18″ and is machine washable.